Featuring gratis wireless internet throughout the property, Apartment Ika is positioned in Zadar, 5 km from Greeting to the Sun. 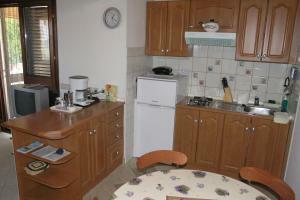 An oven and fridge are also offered, as well as a kettle. The closest flight terminal is Zadar Airport, 14 km from Apartment Ika. Apartment, close to the beach ~0,2 km, Kozino price per day from £ 33 If you want to spend your holiday with your family, book this apartment in Kozino. 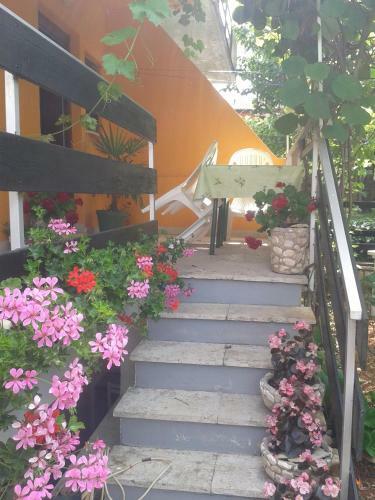 Vacation apartment is situated in a quiet part of Kozino with nicely decorated rooms with lots of light, garden surrounded by greenery and flowers. Distance to the beach: 100 m. Entertainment and Outdoor activities: TV, Satellite television. 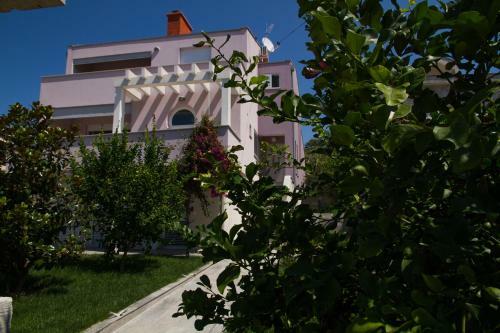 Apartment Ika ~0.1 km, Zadar price per day from € 85 Featuring gratis wireless internet throughout the property, Apartment Ika is positioned in Zadar, 5 km from Greeting to the Sun. An oven and fridge are also offered, as well as a kettle. The closest flight terminal is Zadar Airport, 14 km from Apartment Ika. Apartment Krissy ~0,2 km, Kozino Situated in Zadar, Apartment Krissy presents self-catering accommodation with gratis wireless internet. The air-cooled unit is 5 km from The Sea Organ. Free car parking is available on site. The kitchen has a dishwashing machine and an oven. 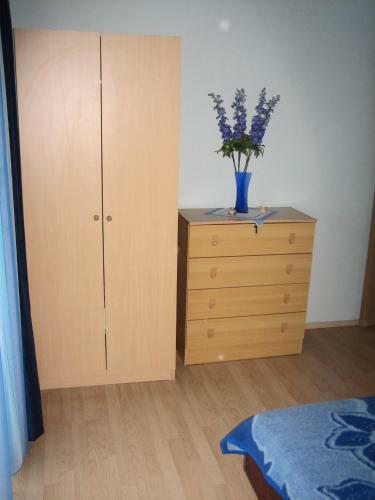 Towels and bed linen are provided at Apartment Krissy. Greeting to the Sun is 5 km from Apartment Krissy, while Church of Our Lady of Health is 5 kilometers away. Zadar Flight terminal is 14 km from the property. Kozino ( ~ 1.7 km ): 163+ apartments, 9+ villas, 2+ hotels. Petrcane ( ~ 4.3 km ): 201+ accommodation units. Sutomiscica ( ~ 7 km ): 10+ accommodation units. Lukoran ( ~ 7.1 km ): 20+ apartments. Poljana ( ~ 7.3 km ): 27+ apartments. Zaton ( ~ 7.4 km ): 36+ apartments. Beach Diklo, Zadar ~ 0,7 km from Apartment Ika Concrete beach: ideal for families, with restaurant, with caffe bar. Beach Borik, Zadar ~ 2,6 km from Apartment Ika Sandy beach: ideal for families, recommended for young people, with restaurant, with caffe bar, equipped with showers. Excellent choice of watersports. Beach Puntamika, Zadar ~ 2,9 km from Apartment Ika Rocky beach: ideal for families, recommended for young people, with restaurant, with caffe bar. Excellent choice of watersports. Beach Uskok, Zadar ~ 3,3 km from Apartment Ika Gravel beach: ideal for families, recommended for young people, with restaurant, with caffe bar, equipped with showers. Excellent choice of watersports. Beach Nela, Petrcane ~ 3,9 km from Apartment Ika Rocky beach: recommended for young people, with caffe bar, equipped with showers. Excellent choice of watersports. Restaurant Beach & Cocktail Bar Bamboo, Zadar ~ 2,9 km from Apartment Ika Address: Obala Kneza Domagoja bb, Zadar. Cuisine: Croatian cuisine. Restaurant Niko, Zadar Guest reviews: 7,8/10 ~ 2,9 km from Apartment Ika Address: Obala Kneza Domagoja 9, 23000, Zadar. Cuisine: Croatian cuisine. Restaurant Restoran Roko, Zadar Guest reviews: 9,1/10 ~ 2,9 km from Apartment Ika Address: Put Dikla 74, Zadar. Cuisine: Italian cuisine, Croatian cuisine. Restaurant Konoba Micic, Zadar ~ 2,6 km from Apartment Ika Address: Majstora Radovana 2, Zadar. Cuisine: Croatian cuisine. Restaurant Magnolia, Zadar ~ 2,5 km from Apartment Ika Address: Majstora Radovana 7, 23000, Zadar. Cuisine: International cuisine.